Organisers of a major music festival in Solihull have outlined plans for a shorter event in 2019, which would take place earlier in the year. Ian Rogers, director of the Summer Fest event, told a council meeting last night that it was intended to bring forward the festival, previously held over the August Bank Holiday, to the end of July. This would also mean that the event, staged in Tudor Grange Park, would be condensed into two days. It was noted that this year’s dates had clashed with other events, including Camper Calling at Ragley Hall. There are also hopes that there might be more chance of sunshine earlier in the summer, with a council report noting that the 2018 festival was hit by inclement weather. Solihull councillors were briefed on how this year’s event had gone, although a decision on approving a 2019 festival is set to be taken separately early next year. Mr Rogers told members that organisers wanted to continue for a fourth year and outlined the proposed changes. “By bringing it forward and not having a Bank Holiday Monday, we would reduce the days. So we wouldn’t have the Dance Fest. Some residents had raised concerns about the volume of music and the number of posters promoting the event. Paul Langham, the council’s assistant director for business systems, said: “The number of complaints we received compared to other events of a similar nature is very few. However, Maria Graham, who has lived near the park for more than 30 years, said that while she had not objected to previous public events, such as the annual fireworks display, she felt the festival had caused problems. She had urged the local authority to ensure that “noise levels do not interfere with the lives of local residents” and that the festival was charged a competitive rate. Mr Rogers said he had shared the production company’s sound-mapping with the council and that the issue would continue to be monitored. 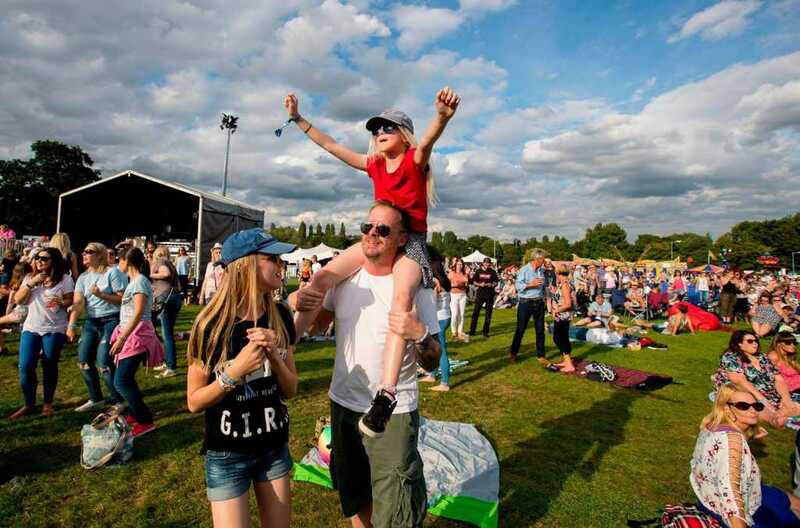 Summer Fest debuted in 2016, with the intention of bringing “big-name acts to people’s doorstep.” Since its inception the event has supported the cancer charity Help Harry Help Others. The line-up in 2018 featured performances by groups including Busted, Razorlight and 10cc. Cllr Joe Tildesley, cabinet member for leisure, tourism and sport, said any application for the 2019 event would be considered at a future decision session. He has suggested however that the council’s fees and charges regime might need to create a new category for “major music festivals”, noting that these types of events are currently grouped in with the likes of funfairs.